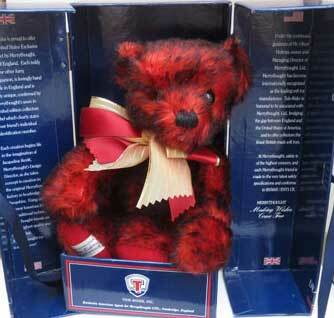 An English Mohair bear in an illustrated travel trunk. 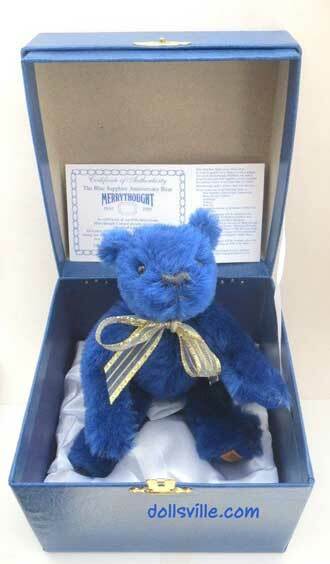 Merrythought's Rupert comes in an exquisite illustrated presentation box. 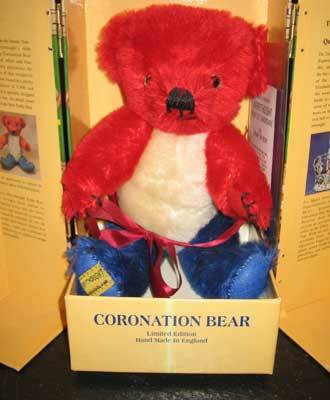 Hand-made of pure English Mohair and 9 inches tall, this Limited Edition Rupert Bear is in an illustrated presentation box.